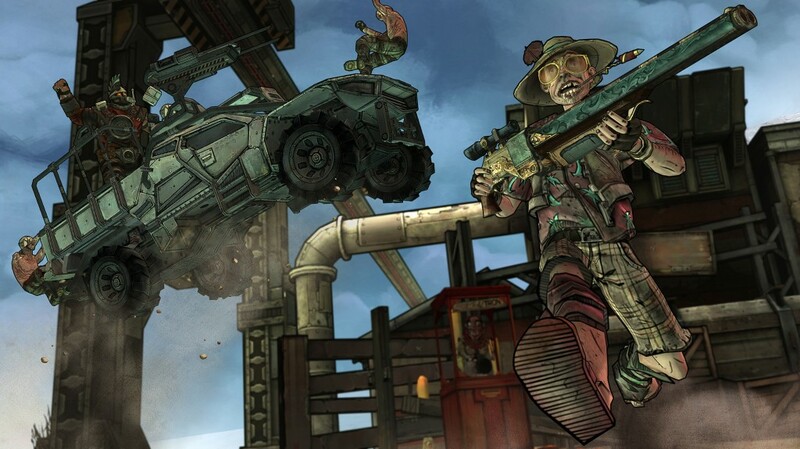 2K Games had an instant hit on their hands with the Borderland franchise. 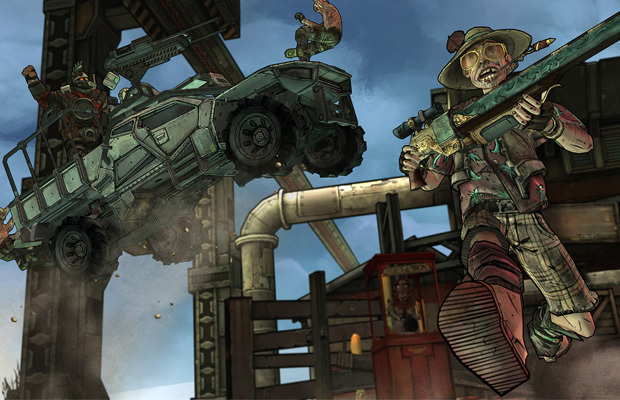 With the series garnering so much success, the publisher decided to expand its horizons by joining forces with Gearbox Software and Telltale Games to present a fresh spin on things. Telltale, best known for its story-driven titles based on the The Walking Dead property, decided to create its own game called Tales from the Borderlands. Introducing different gameplay and a new story, players will find themselves exploring Pandora through a different navigation format, that being point-and-click. Taking the popular FPS into a unique direction, it would seem as if there’s much to anticipate or worry about. So will diehard fans of the series embrace this latest adventure? Here is our take on the first episode dubbed Zer0 Sum. 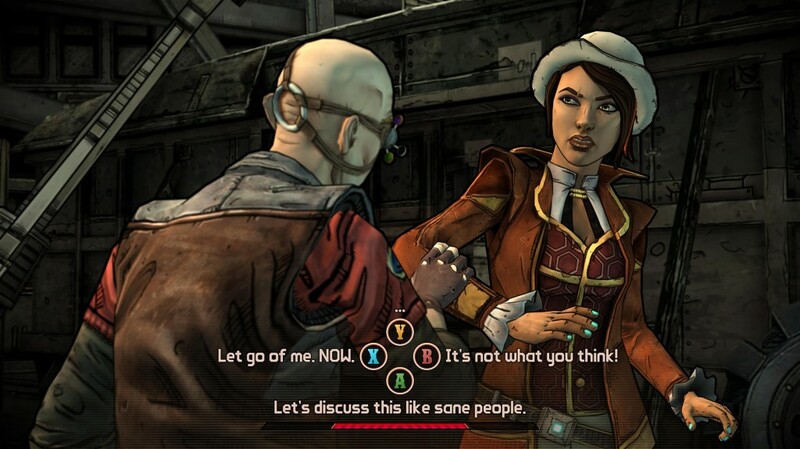 The game takes a different spin on the Borderlands franchise. This time around there will be parts where you’ll be prompted to pick from three choices. There is no right or wrong. Just remember the choices you pick will affect the overall outcome. So if you are rude, or decide not help out a character, expect them to remember these decisions at a later time. The game offers two different point of views, one from Jack and then from Fiona. 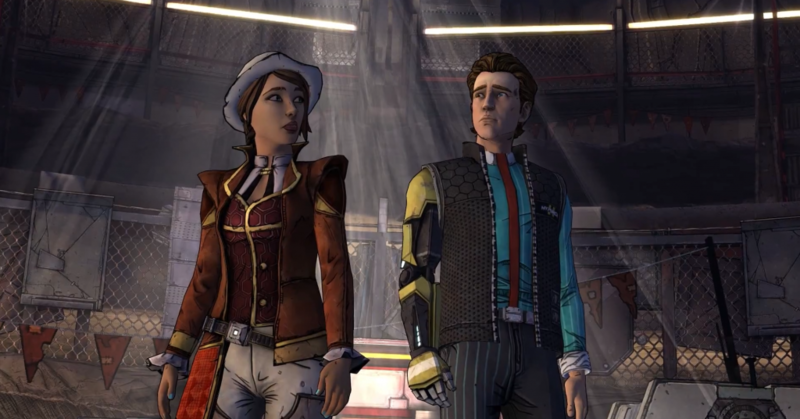 It takes place after the end in Borderlands 2 with this episode showing the events leading up to how Fiona and Rhys eventually meet, as they come together they will realize how Pandora was affected after the downfall. Everything in the game is based on matching up your controls to the highlighted area. So if you need to shoot an enemy, you can’t just fire a weapon where you want. You must line up the weapon to the highlighted area and then shoot. The controls seem to be very sensitive, meaning you don’t need to do a whole lot, just glide the curser to the pinpointed area and push the button: that’s all. Oh, and did we mention it’s all timed? If you can’t take down the enemy in the short amount of time that is given, death will be your fate. Granted the majority of players will have already made a trip to Pandora before, this time will be a different experience. You’ll be able to actually look around and examine things in your area. Moving in your cruiser, you will be prompted to either read a sign or open up a door you couldn’t get into before. The plant is like a big puzzle, the more you look around, the more clues you will find. Some of the items you find can actually help you in the long run, but there are things you may open that will get you in trouble. Even though Pandora looks like a complete wasteland, the setting is incredibly detailed and vibrant in presentation, making you feel like you’re watching a live-action comic book. A colorful and funny cast really brings out the fun here: Rhys, your main character who is a bit of a smartass mixed with a side of cockiness; Vaughn, Rhys right hand man who leans more onto the caution side; Fiona, a con artist wanted for fraud and seems to be able to keep Rhys ego in check; and Shade, one of the most insane characters we’ve ever met who’s gone insane due to dehydration and loneliness. Oh yea, can’t forget Handsome Jack from Borderlands 2. In this game he has taken over the Hyperion Corporation and now declared himself the dictator of Pandora. As feature episodes are released, you’ll get to meet more of the colorful cast, which will be exciting. Fans look for the fire-blazing presence of the franchise’s predecessors will feel slight disappointment here. Tales from the Borderlands will not have you coming out with guns blazing, as it’s more reserved for the point-and-click crowd. Now we’re not saying there isn’t any action, but it’s very minimum…something fans of the serious aren’t used to. In other words, you won’t be able to just run up on someone and start blasting. 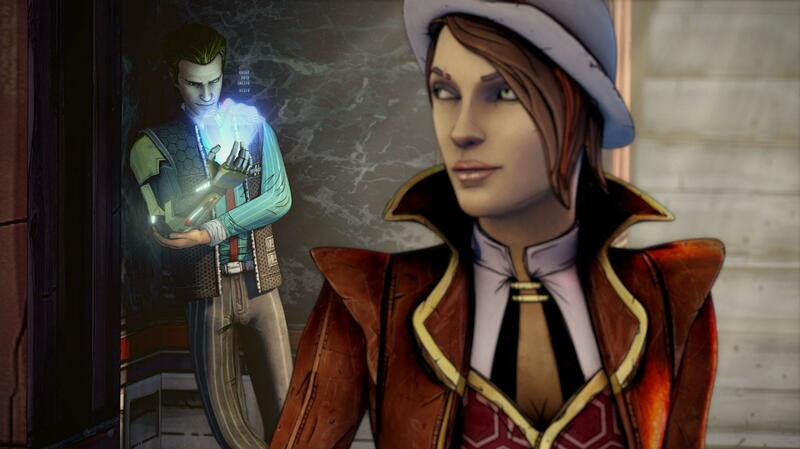 Tales from the Borderlands does present a new and fresh approach to the franchise. Allowing players to take control of the main characters actions is a niche touch that work, making them nasty or as understanding as you want. Though you must remember everything chosen will reflect storyline. This allows players to understand to enjoy the game without feeling rushed to finish it. However, the characters are what truly make the title. It’s fun running into old faces or how your character will react when seeing them during situations. The only problem we see players having with the game is the lack of action. 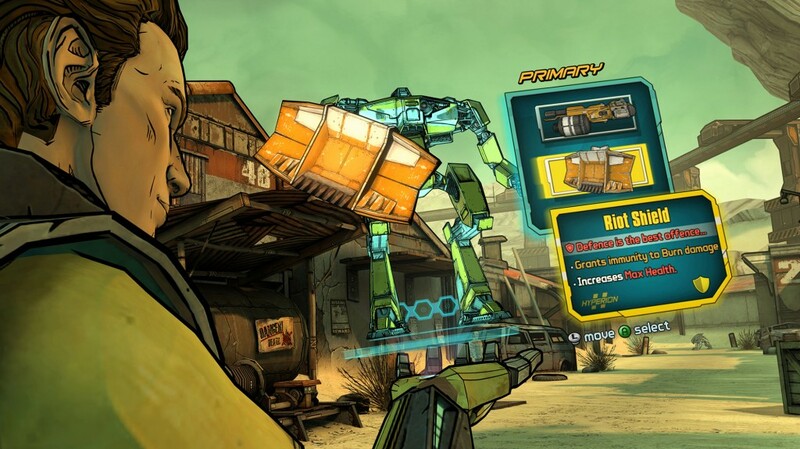 In previous Borderlands games, you were able to switch out weapons and run up on enemies, resulting in pure non-stop action. But if you can get past that and appreciate Telltale’s narrative, you’ll get to enjoy Pandora all over again. Is Gearbox Reviving Brothers In Arms?